These delicious frozen bites double as a sweet guilt free treat when you get those gnarly sugar cravings and tasty “ice cubes” for making smoothies. These bars remind me of a light cheesecake except frozen. And guess what?! It’s vegan! 1. Blend everything together in a vitamix blender until smooth. 2. Pour into a greased sheet pan lined with wax paper strips to make removing easy. 3. 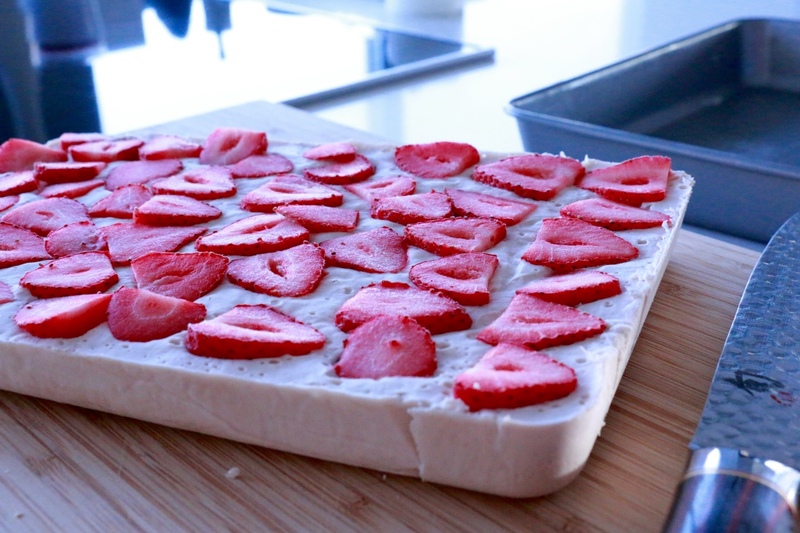 Place the sheet in the freezer and let it chill for 10 minutes. 6. Place the small cubes in a container or ziplock bag. Enjoy as is or use in smoothies!